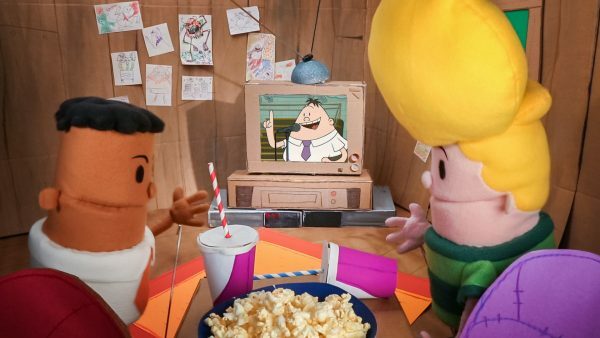 Get your pranks and whoopie cushions ready because DreamWorks The Epic Tales of Captain Underpants is now streaming on Netflix! 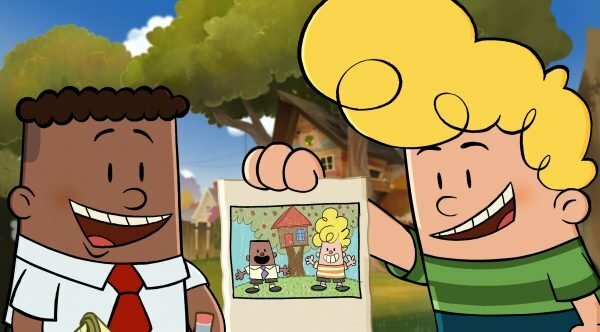 From Peabody Award and Emmy-winning executive producer Peter Hastings, the series is based on the epic novels by Dav Pilkey that have sold more than 80 million copies worldwide. The series provides an entire new experience with new storylines, crazier adventures, wilder pranks and never-seen-before villains. Join your two best friends, George Beard and Harold Hutchins, on these new adventures as they continue to share a love of comic books and practical jokes as well as a strong dislike for their cranky, fun-hating school principal, Mr. Krupp. The Epic Tales of Captain Underpants stars both established and emerging voice talent including Sean Astin as the series’ narrator, Academy-Award winner Nat Faxon as Captain Underpants/Mr. Krupp, as well as young actors Jay Gragnani and Ramone Hamilton who voice best pals, George Beard and Harold Hutchins. The series features a great additional cast including David Koechner as Mr. Meaner, Tress MacNeille as Ms. Hurd and Mindy Sterling as Melvin’s mom along with more! These are great activity sheets. These are perfect for my grandsons, they love Captain Underpants. These look cute and fun to complete! Thanks for sharing! 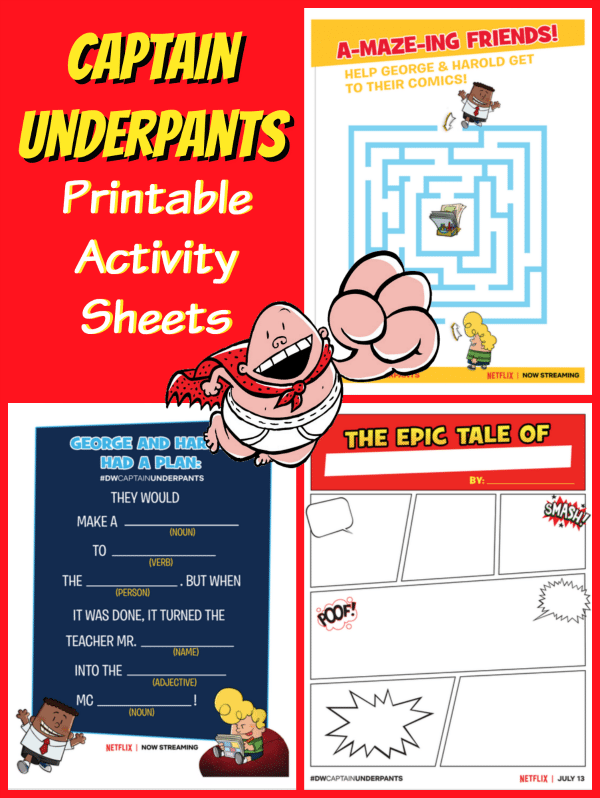 I used to read Captain Underpants all the time as a kid, so these are fun for kids nowadays! I love activity sheets, they keep everyone busy. I love these activity sheets. Perfect to keep kids busy on a rainy day! Thanks for the printables. My daughter loves Captain Underpants and the maze will really help with her visual motor skills that she needs to strengthen.